Just bought some new tools! Hey guys, I was at the hardware store today after work and I picked up a few useful things for my favorite hobby. To replace the shoe box I am currently keeping my tools in. A 60W soldering iron just like my Dad's, but not my Dad's. A nice set of screwdrivers, 3 Philips and 3 Flat, because all my old ones are in very bad shape and/or lost. I think I'll use this a lot while working on the electrical part of my future quadcopter! No more knives/scissors/teeth! What's your favorite tool? Why? Post a picture! Nice, man! My favorite tool has to be my Dremel. My most useful tool is the soldering iron. I was actually looking at a Dremel 100 - it costs $51 here in my hardware store. How much does it cost in the US? Cheapest price I see is $38 at Wal-Mart. Doesn't come with many accessories, though. Favorite tool - Snap-On impact 1/2 inch drive impact gun. Yep nothing to do with the hobby but you got to love the whoot whoot sound when working in the garage. I have a friend coming down from the US in August - might ask her to bring down a Dremel for me... Now that you're all tempting me! First I'd say, build your multirotor. As you're working, think about what might make building XXXX easier/better. In many cases a Dremel will make the list, but you'll be surprised at the simple ideas that can spark from it. IMO, for the Dremel, It's worth waiting for a better model, but not the best. You can get a lot of use out of a wired, variable speed like the 3000, but unless you're cutting drywall, the 4000 is likely more than you'll want. If you get a 100 or 200 series, you might as well get the cheap Chinese knock-offs -- cheaper and just as useful, but plan on replacing it. If you can get an older vairable speed model (old 300 series), w/ a collet based chuck and a good selection of bits, you'll do well with it. 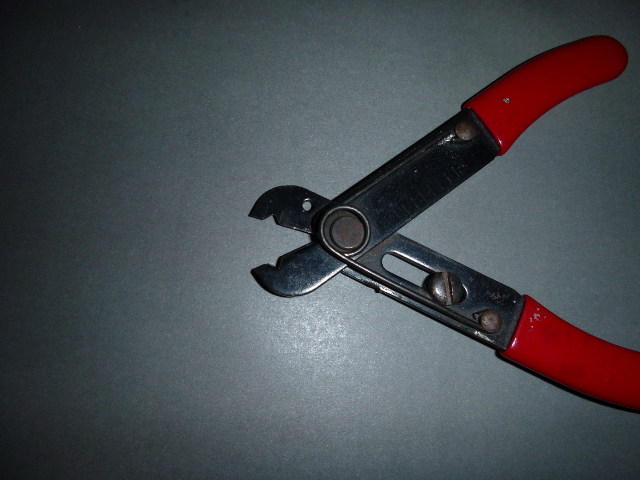 I prefer this style wire cutter -- dirt cheap, but can cut almost any size. if you can get used to the different feel of insulation and metal, it's easier to stop just before damaging the wire. These do wear out, but they are so cheap and handy I don't mind buying a new one every year or so. 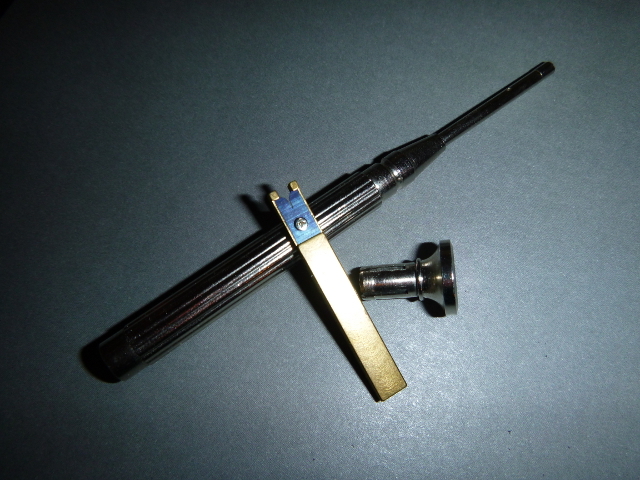 For the REALLLLLY small wire, this is a wire-wrap tool that comes with a notched razor blade insulation cutter. Super handy for stripping and installing fine wire onto posts. Pair of analog calipers - I have MANY, including digital, but these NEVER run out of batteries. CANNOT SUGGEST THESE TOO HIGHLY. get one, learn how to use it, learn how to read the vernier. The only way to measure accurately on the cheap. 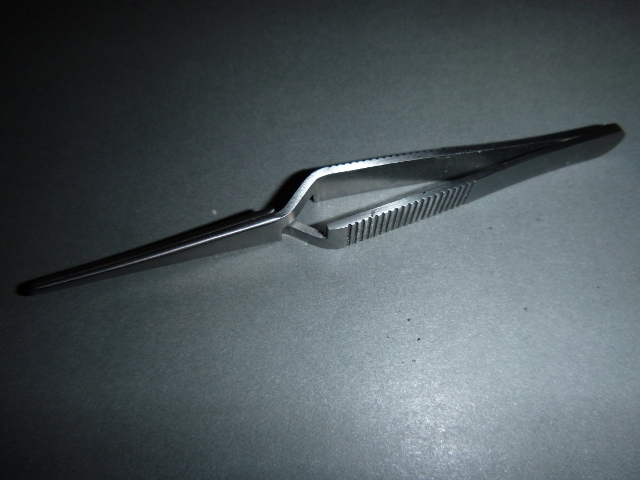 The only one of these I'd recommend straight off for you are the calipers. Everything else, the advice for the Dremel applies -- build things, think about how you could do it easier/better, then think about picking up the right tool for the job. Advice will guide you to good tools, experience alone will guide you to your favorite tools. Oh calipers! I have been wanting to get some. I'll look for some tomorrow maybe. As for the dremel tool, if I needed one i would buy HobbyKings rotary tool, but I know if I had the money on my payPal account I'd rather buy parts towards FPV or my multirotor - so I think the dremel would have to wait. And I don't have any shafts to be cut yet. Thanks for taking the time to post pictures! Hey Craftydan look what I got this afternoon! A pair of calipers - they don't feel really precise, but they gotta have at least 0.5mm accuracy. Which should be plenty for me. and finally some bendy wire - think it'll be enough for a few antennas? I hope galvanized steel wire works for that. 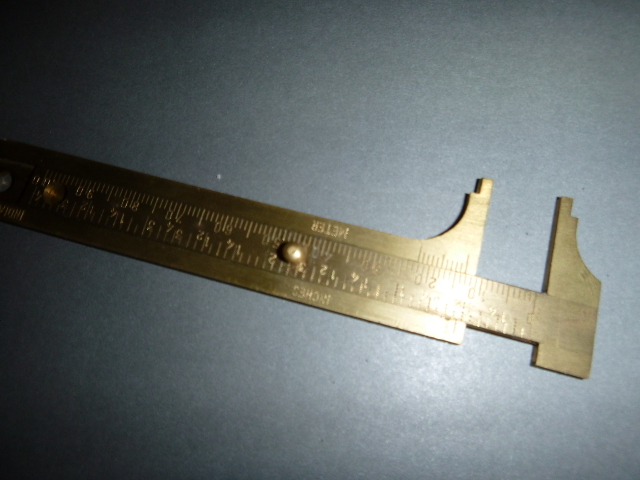 You might want to check again -- with the vernier caliper, you'll can easily get 0.01 to 0.001 mm accuracy, depending on how it's laid out. From the looks of yours, it's good to 0.01mm. Again, learn how to use a vernier. you'll be shocked how accurate they can be. Ah, loctite and zipties -- feels like we'd be in the stone age without 'em. A few antennas? You do know everyone is talking 900MHz, not 900 Hz, right? Yeah, you should have enough length, but . . .
Well, steel is a good ferric metal -- it'll conduct/radiate just about as well as Copper -- but you might be up for a challenge to get the wire hot enough for solder to stick. In your case it *might* be thin enough that you won't fight the heat-sink effect, but steel has to be MUCH hotter than Copper to bond to solder. Most times I've dealt with similar wire, it took a torch to get it tinned. If you do use this wire make sure the area you tin has ALL the galvanized coating sanded off -- looking for bright shinny metal. Once the wire has taken the solder it'll flow easier for other joints, but you're gonna be struggling to get enough heat. Yesterday I picked up my soldering station from the post office, sent from HK. Now I have to learn how to use it and what temps are good for the different size wires. Now to find a place that sells one of those units with the alligator clips and magnifying glass. I can't give you numbers, but you shouldn't trust them anyways -- most temp dials aren't calibrated (LCD readouts might be close). If your solder station is Temp controlled (not power controlled) my RoT has been you want it a bit over the solder melt temp. Tin your tip, tinned tip to wire, then let the heat of the wire melt the solder to the wire. if you don't have enough "thermal momentum" in your iron to heat it up quickly, or the wire is heat-sinking too much heat away to warm up, bump it up a bit at a time. I'd say adjust *no more than* once every 10s, and let the iron rest a few seconds in between. 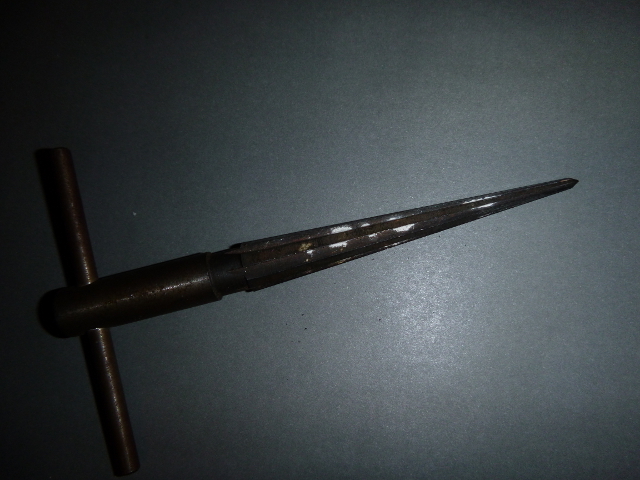 before reattempting, clean and re-tin the tip. Hmmm - didn't think about the soldering part there. I'll try some soldering with that wire before getting to making the antennas. I think it can be done, but will be unnecessarily hard. Last resort is solid copper core wire, pull the insulation off and use that. And as for the precision of the calipers - I'm blaming the imperfection of a cheap tool, not the ability to read. The moving part can wiggle around quite a bit. Find a welder with a MIG machine and they should let you have enough copper coated steel wire scrap to more than suit your purposes. If not then give me your address and I'll send you some .030". That galvanized wire will give you nightmares at higher frequencies. Hey there, thanks for the offer - I sanded the tips of the wires and used some flux and managed to pre-tin them relatively easily. I don't know with the rg316 wire yet if it'll bond with that. I'll have to ask around for a MIG welder, and if I don't have luck with that I'll contact you about the shipping. I got the antenna together - just for the sake of trying. I didn't care about angles so much, so it's all off in every direction. But it did solder relatively easy, so I think this is what I'll go with in the future! Well! That went much easier than I'd expect! Glad I was wrong!